How to find love in a bookshop is a wonderful novel. The first of Veronica Henry's that I've read, but it certainly won't be my last. When a local property developer approaches Emilia she is quick to tell him to get lost, but then in sends in one of his lackeys to try a different approach, and suddenly Emilia sees a different side to the bookshop than she had previously. 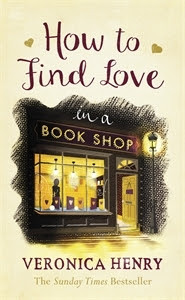 How to find love in a bookshop is available now from Amazon online and all good book shops.